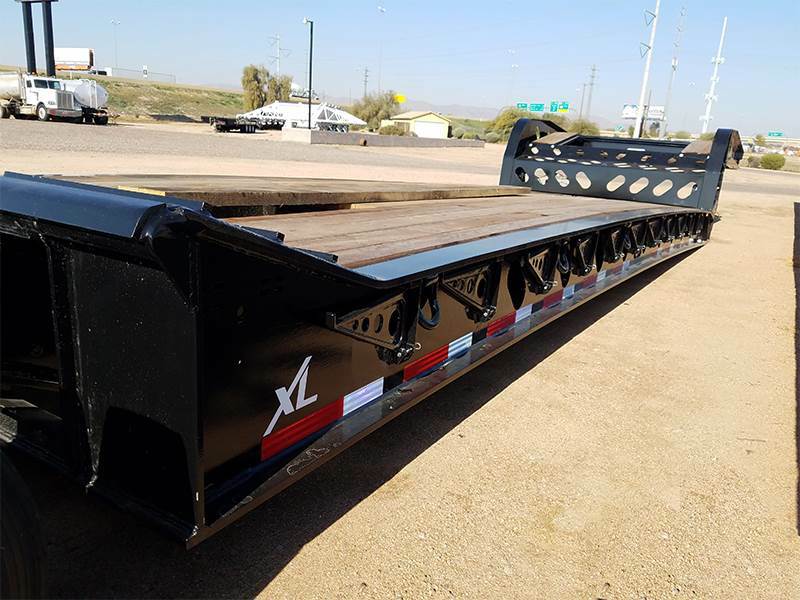 XL Specialized XL 100 MGX 16 tire expando lowboy trailer for sale. 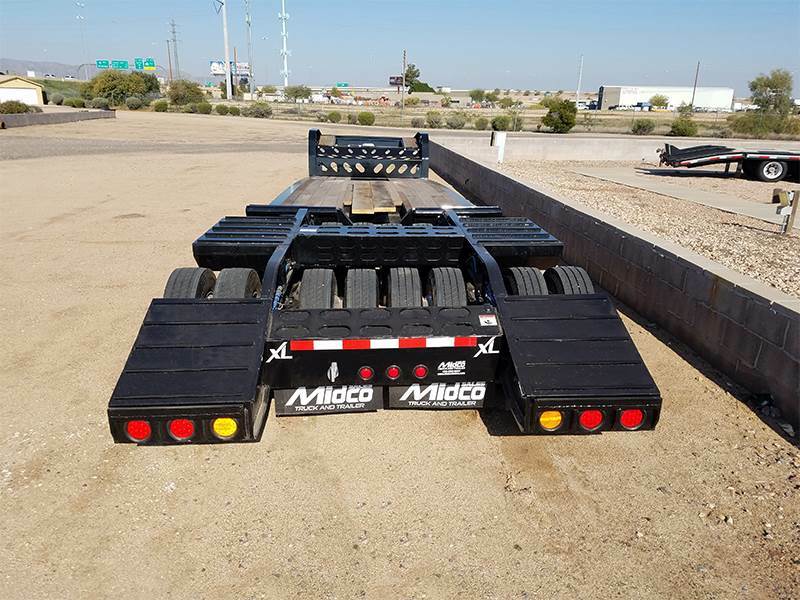 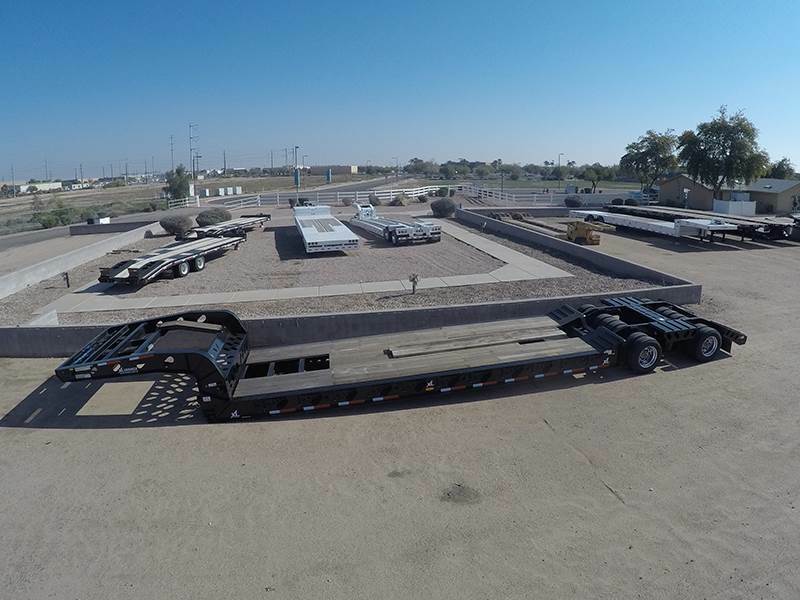 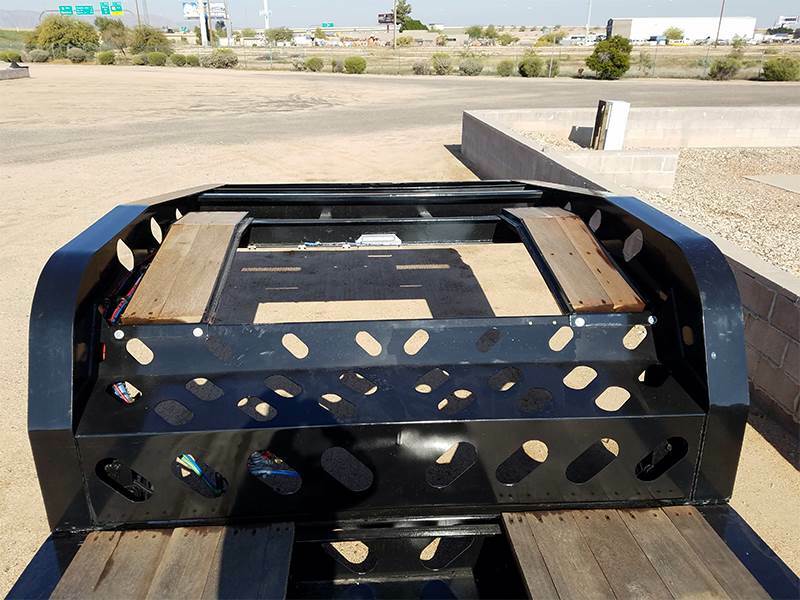 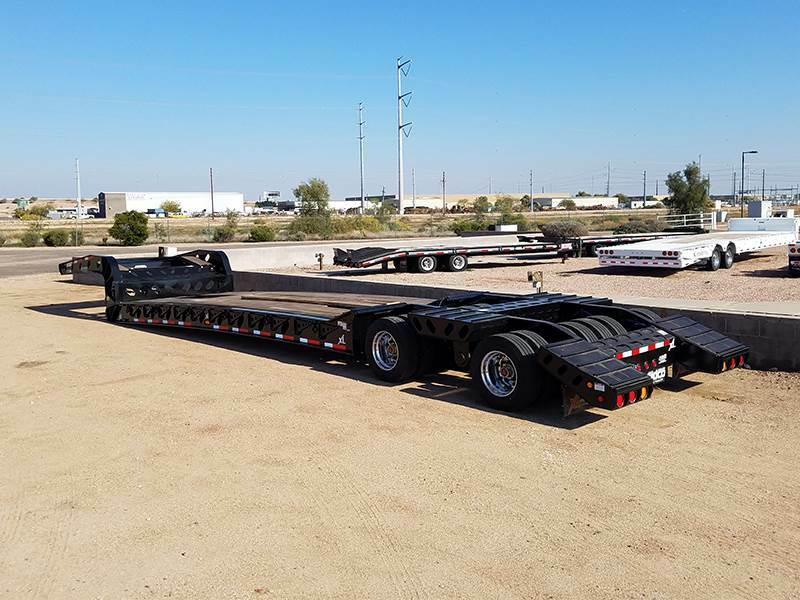 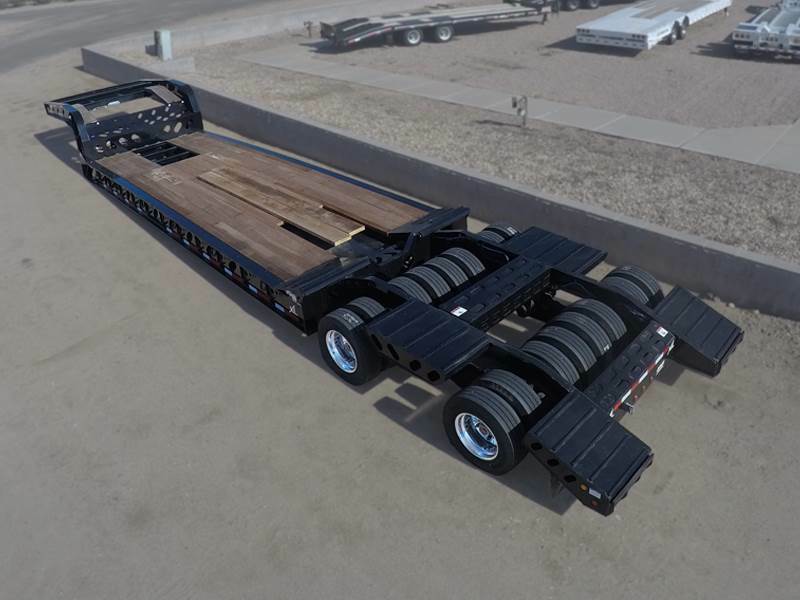 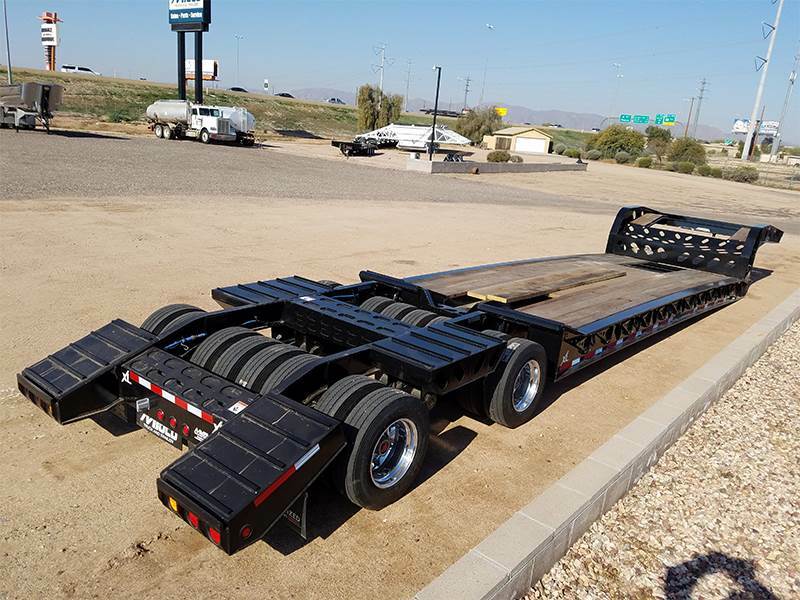 This trailer has a 100,000 pound capacity and an overall length of 47′ 7″. 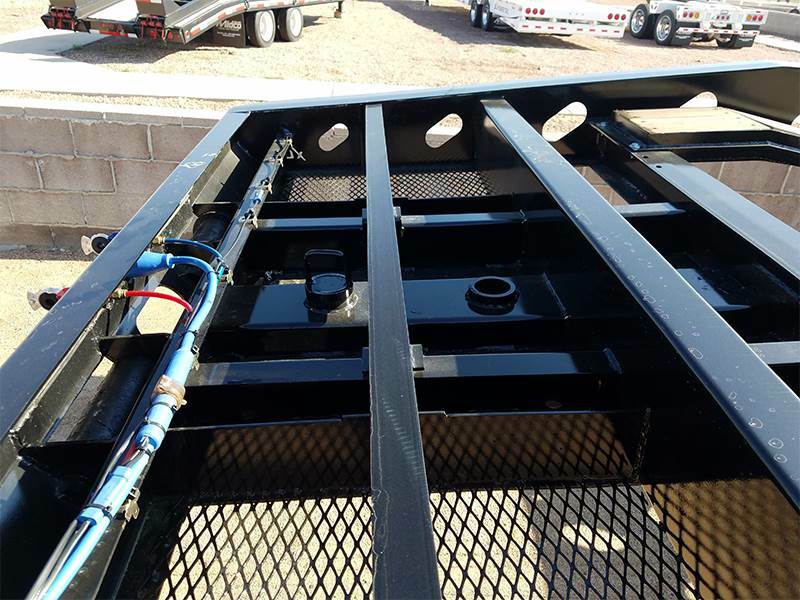 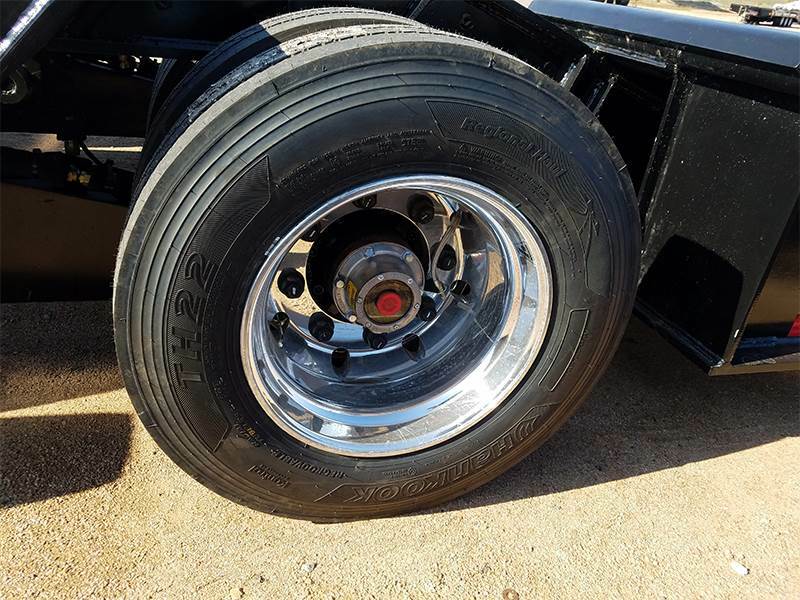 The expandable wheel area extends from 102″ wide to 120″ wide using two 8″ air cylinders. 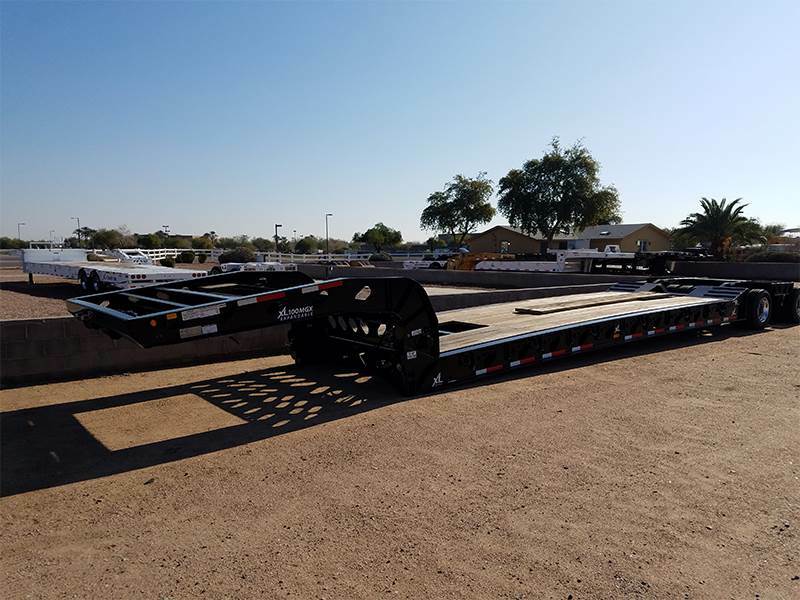 King Pin Setting: 16", 30"
Side Beams: 2 Fab I-Beams 15"
Outriggers: Swingout outriggers on 24" centers. 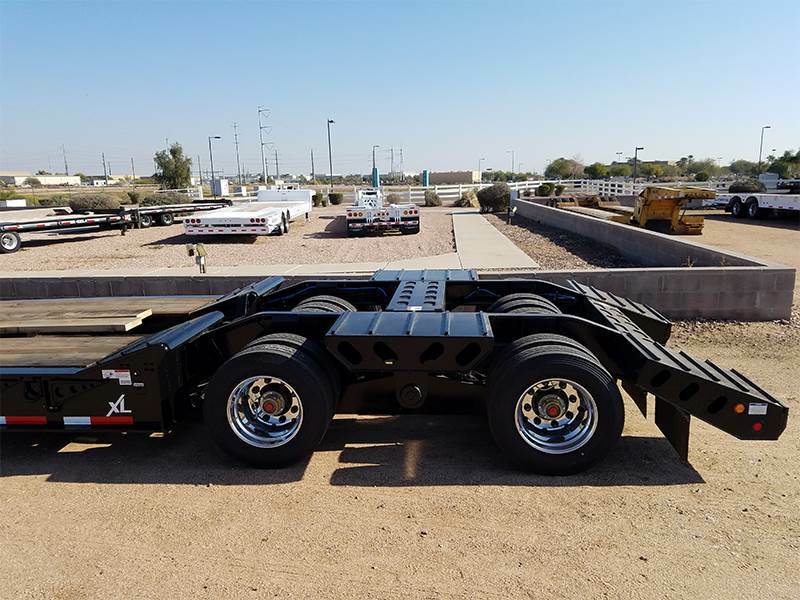 1 pair of flatback outriggers. 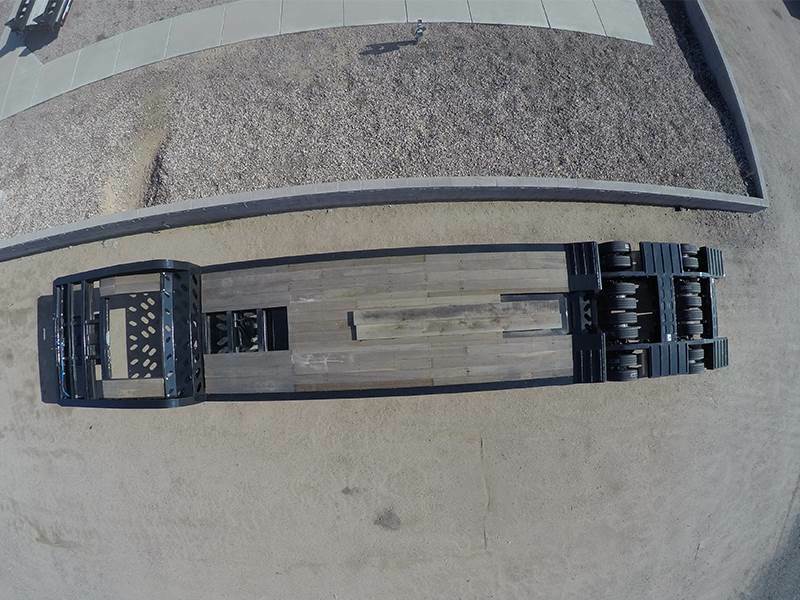 2" x 10" planks.